Missouri State faculty, alumni and students publish a book on famous composer. Often with music, you don’t have the opportunity to ask the composer about his or her life’s work. But one project was an exception. In 2016, Dr. Cameron LaBarr, director of choral studies at Missouri State University, and Dr. John Wykoff, associate professor of theory and composition at Lee University, traveled to Hawley, Massachusetts. There, they spent a week interviewing Alice Parker, famous composer, arranger and conductor. They recorded conversations with Parker and compiled them into a book, “The Melodic Voice: Conversations with Alice Parker,” about her musical journey. This book will serve as a “conductor’s guide” to some of Parker’s most famous music. LaBarr said he was inspired to write about her works and her philosophy on music and life. The book is written as dialogue between colleagues and friends. It includes a video component of Alice analyzing and discussing some of her most famous works. 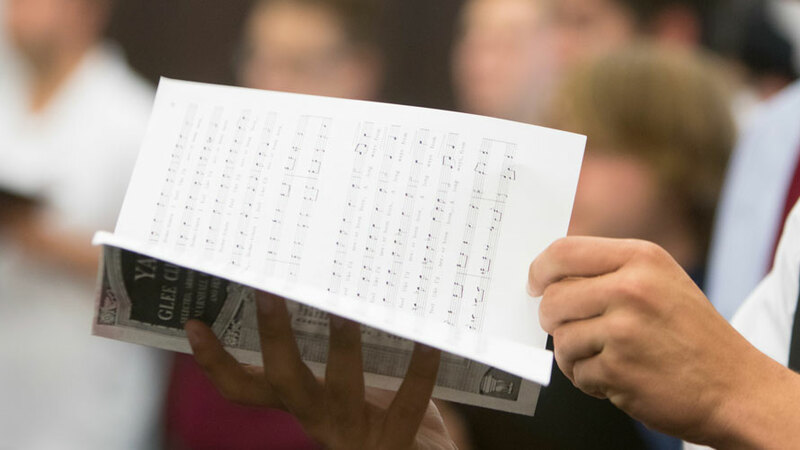 “It will be an amazing tool for choral conductors around the world who perform her pieces and they will be able to use this online resource,” said Blake Richter, MSU graduate student and Nixa music teacher. The team that worked on this publication was composed of current or former Bears. “We call John our ‘Honorary Bear,’” LaBarr said. LaBarr previously worked with Wykoff on faculty at Lee University. Wykoff has composed music for MSU’s chorale, including the piece performed at the 2017 Presidential Inauguration. Richter was the audio and video engineer during the week spent with Parker. Bryan Gibson, MSU alumnus and copy editor for GIA Publications, transcribed and edited the book. Faith Morgan, MSU senior music composition major, illustrated the publication. All three team members worked with LaBarr previously through chorale or composition, and they were ready to take on the new project. Parker, 93, has been composing, conducting and arranging for more than 60 years and has written more than 500 pieces of music. After graduating from Julliard in 1947, Parker was the primary arranger for the Robert Shaw Chorale for 20 years. In 1985, she founded Melodious Accord: A professional chorus she directs and a fellowship program for young musicians. LaBarr and Wykoff previously studied melody, arranging and composition with Parker. “We’re all the best versions of ourselves when we can help others find the best versions of themselves,” LaBarr said. With the help of each Bear, the book will be an important tool for many. “It’s created as an enchanting way to digest this profound information, for people who are in the profession and people who aren’t,” Richter said. 12:00 pm Smithsonian Traveling Exhibit "Roots of Wisdom"